Below you can view all the homes for sale in the Woodland Hills subdivision located in Atlanta Georgia. 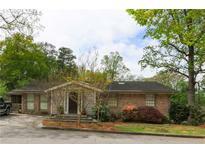 Listings in Woodland Hills are updated daily from data we receive from the Atlanta multiple listing service. To learn more about any of these homes or to receive custom notifications when a new property is listed for sale in Woodland Hills, give us a call at 404-998-4097. So Many Possibilities With This Gem! MLS#6539206. Dorsey Alston Realtors. Paint*Updated Systems*New Fixtures/Lighting/Fans*Wide 2 Car Drive*Extra Parking*Refinished Deck*Fenced Backyard/Pro Landscape Design* 1M+ Homes In Neighborhood*Storm Door*Hardwood Floors*Crown Molding*Chair Rail*Blinds*Fans*Granite Counters*Extended Cabinetry*Tile Floors*Huge Master*Walk In Closets*Double Vanity*Tile Shower*Large Standup Crawl/Unfinished Area/Storage*Gutter Guards*Energy Efficient Upgrades*Close To Emory/Cdc/85/400/75/Choa/Ponce City Market*Highlands/Beltline. MLS#6538491. Keller Williams Rlty-Ptree Rd. Like To Try New Dining Options In Midtown? Welcome Home! MLS#6536007. Harry Norman Realtors. Terrific Neighborhood Convenient To Emory University, Georgia Tech, Virginia Highlands, Piedmont Park, Midtown, And The Beltline, Plus Easy Access To Interstates And Major Highways, On A Quiet In-Town Street. MLS#6535330. Harry Norman Realtors. Features A Private, Fenced In Backyard For Pets And Kids. MLS#6528814. 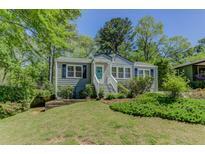 Resurgens Residential, Llc..
One Of Atlanta'S Best Neighborhoods Is Available Now! MLS#6529677. Omyra, Inc.. The Front Porch Is Ideal For Coffee In The Morning Or Spending Time With Family And Friends. MLS#6522695. Jar House Llc. Manicured Front Yard, Great Backyard To Entertain. MLS#6522042. Atlanta Communities. Large Secondary Bedrooms, 2 Car Garage And Fenced Backyard. Don'T Miss This Incredible Home! MLS#6520209. Berkshire Hathaway Homeservices Georgia Properties. Walk To Park, Kroger, Chase. Easy Drive: Eav & Grant Park. MLS#6511556. Keller Williams Rlty-Ptree Rd. Photos Of Finished Home Similar In Finishes & Plan. MLS#6510367. Compass. This 4 Bedroom And 3 Bathroom Home Is A Perfect Opportunity For An Investor Or First Time Home Buyer Looking To Increase The Value. MLS#6118350. Jar House Llc. Show Your Client And Have A Sale. MLS#6113199. Maximum One Greater Atlanta Realtors. Close To Emory, Cdc, And The Expressways. MLS#6090562. Coldwell Banker Residential Brokerage. Quietly Located In A Cul De Sac, Franklin Circle Is Conveniently Located To Grocery Stores, Shops, Restaurants, I-85, Ga-400, Emory, Midtown, And Buckhead. MLS#6088964. Atlanta Fine Homes Sothebys International. New Poly On Floors. Fenced Yd. MLS#6079251. Homestead Realtors, Llc..
Tlc Required! Sold As-Is And Welcome Home! MLS#6070445. Keller Knapp, Inc..
Urban Living At Its Finest.An Entertainers Dream,Mid-Century Modern Updated,3Bd,2Bath Ranch Open Floor Plan,W/ Vaulted Ceilings.Kitchen With Granite Counters,Stainless Steel Appliances.Amazing Private Backyard With Pool,Cabana,Hot Tub Low Maintenance Yard,Rare Extra Parking Pad.Prime Location Near Wildwood Nature Trail,Va-Highlands,Piedmont Park,85,400,Beltline And More. MLS#6053944. Keller Williams Realty Metro Atl.